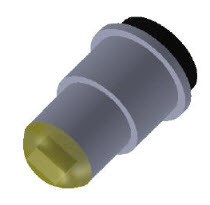 Dimensionally compatible with MIL-DTL-6363/8, MS25237-327, MS25237-387, MS25237-328. Available in 28VDC. 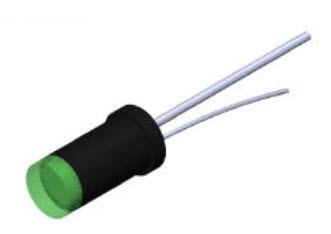 Long life, minimal heat generation, and shock resistant lighting for Aerospace and Defense panels, displays, indicators, instruments, keyboards and pushbutton switches. New -E Option incorporates Lumitron’s proprietary exponential dimming curve which mimics the dimming curve of an incandescent lamp. 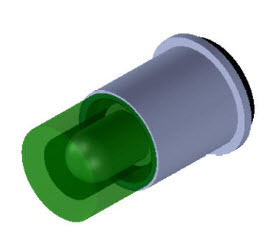 Low voltage cut-off protection is built-in to eliminate trace current illumination. Our NVIS midget flange based LED Lamps meet the dimensional requirements of MS25237 and MIL/L/6363/8 (327 and 328 type lamps). Also available in all NVG Compatible and NVIS Compliant colors. Emitted light meets the NVIS radiance requirements of MIL-L-85762A and MIL-STD-3009. Low voltage cut-off protection is built-in to eliminate trace current illumination. Available in both 5V, 14V, and 28V versions. Long life, minimal heat generation, and shock resistant lighting for Aerospace and Defense IPL White panels, displays, indicators, instruments, keyboards and pushbutton switches. Complies with the dimensional requirements of MS24515, MS3338, and MIL-DTL-6363/6. A drop-in solution to LED upgrading of illuminated IPL White displays. Available in 5V, 14V, and 28V packages for back and edge lighted displays, indicators, instruments, and pushbutton switches. NVG Compatible and NVIS Compliant versions are available to meet all color and NVIS radiance requirements called out in MIL-L-85762A and MIL-STD-3009 and DO-275.